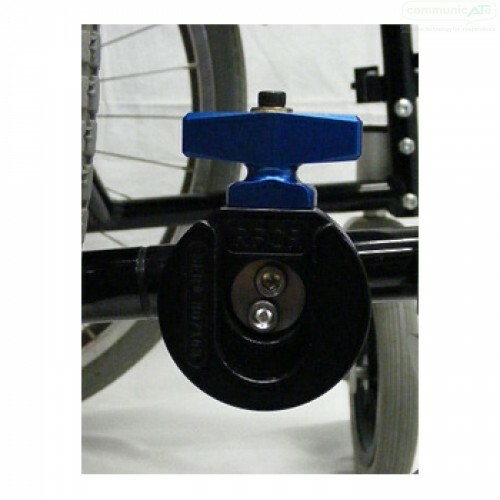 The Mini Bent-Tube Mount is a basic mount assembly. 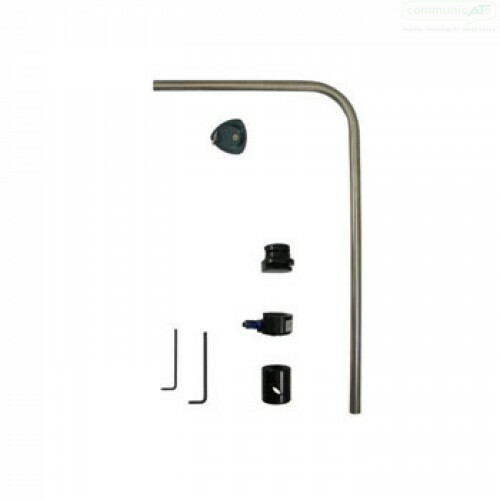 A single right-angle bent tube provides a simple support for a light weight communication device, iPad or tablet. 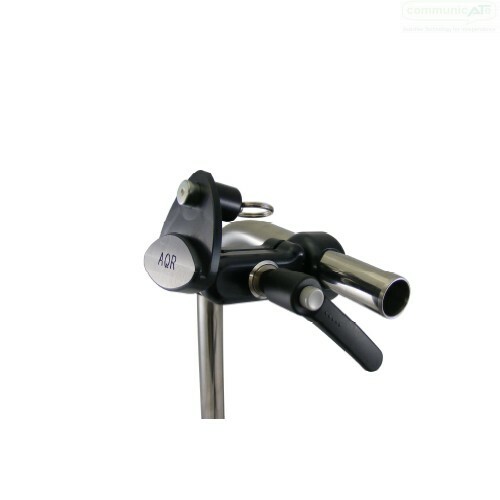 The Mini Bent-Tube Mount is easily removed from the chair. 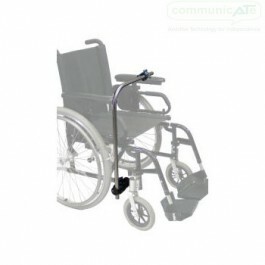 The mount is non-directional and may be installed on either side of a wheelchair. Optional tube lengths are available on request and POA. 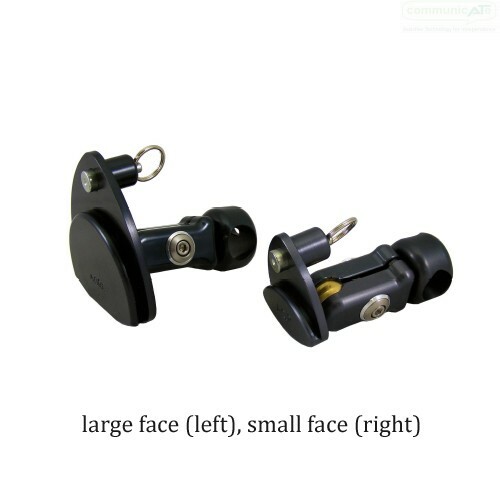 When needing to support larger devices or requiring a taller setup refer to the DAESSY Rigid Mount ROP.